This year marks the 10th Anniversary of the Oakland Running Festival and it is on the map to stay. It has been nationally recognized as the Bay Area race to run. Corrigan Sports makes the process easy from registration to race day, and the people of Oakland make you feel welcome from start to finish. Experience Oakland’s diversity and beauty with a race that touches all aspects of Oaktown, and finishes with one hella awesome party. Come help us celebrate 10 years in Oakland! The Oakland Running Festival is on the map to stay. After its first seven runnings, it has been nationally recognized as the Bay Area race to run by Competitor Magazine. Corrigan Sports makes the process easy from registration to race day, and the people of Oakland make you feel welcome from start to finish. Haven’t run it yet? Experience Oakland’s diversity and beauty with a race that touches all aspects of Oaktown, and finishes with one hella awesome party. 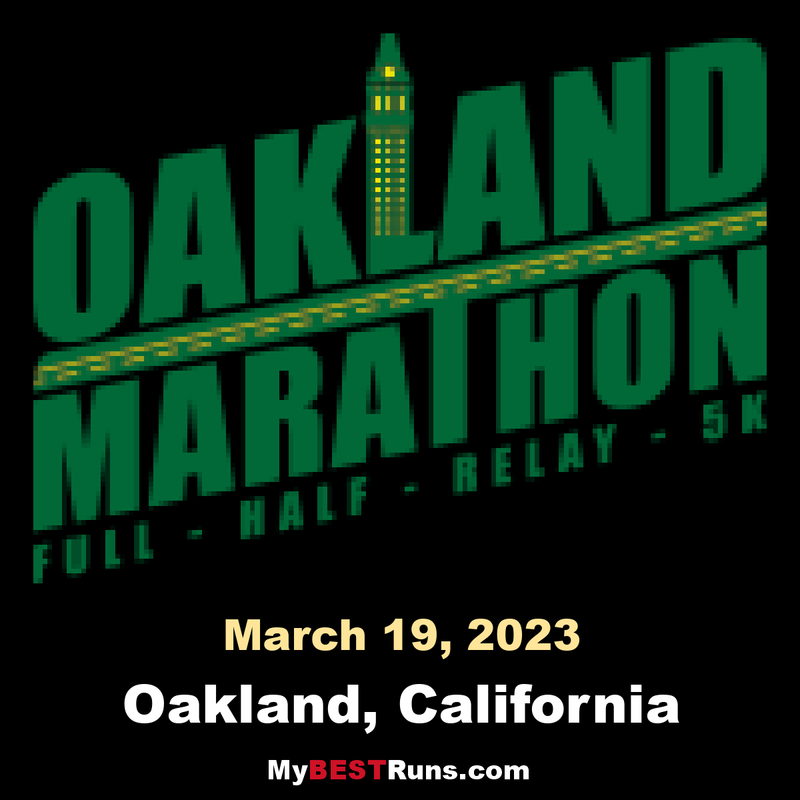 March 24, 2013: Voted the "Best Sporting Event of 2010" by Oakland Magazine, the Oakland Running Festival is the newest event in the Bay Area and Features 5 races of all distances (marathon, half, relay, 5k and kids' fun run). You don't want to miss it.